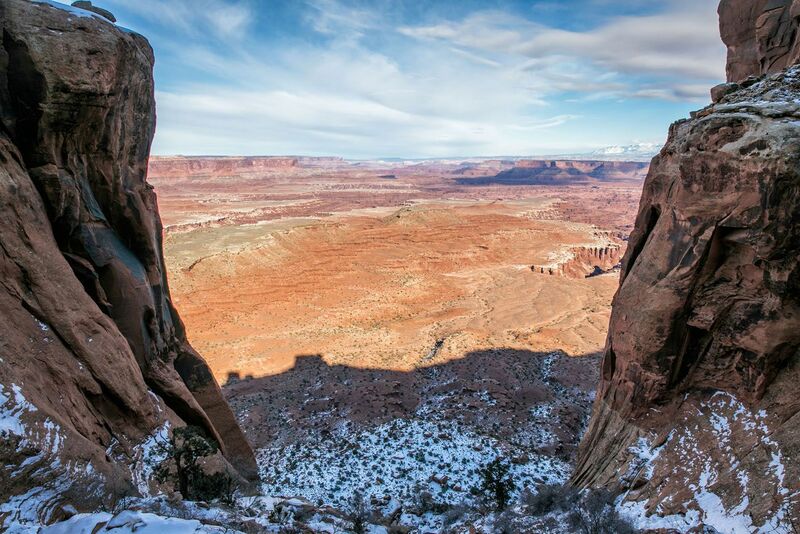 There are a number of hikes in Canyonlands National Park that offer sweeping views over the White Rim. Grand View Point Trail and White Rim Overlook both fit into this category. 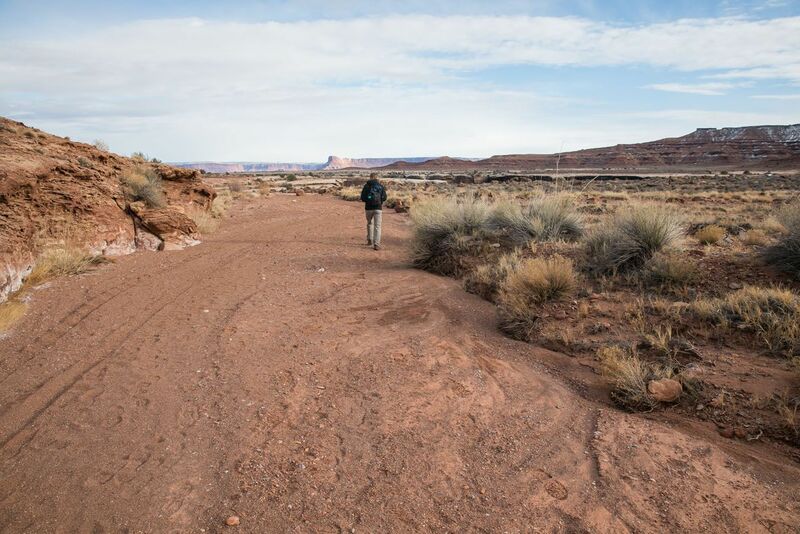 However, if you want to journey below the level of the mesa and hike onto the White Rim, the Gooseberry Trail is a great hike to consider. 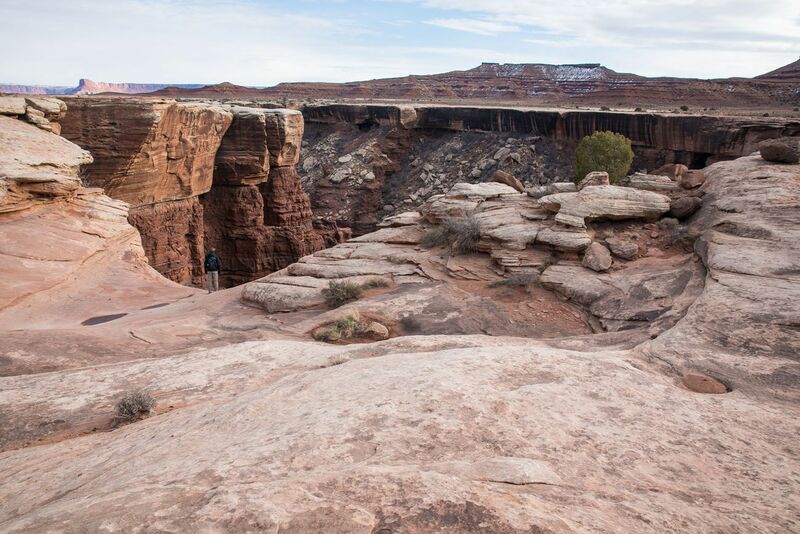 The Gooseberry Trail is famous for being the steepest in Canyonlands National Park. In less than one mile, the trail descends over 1,000 feet. And since what goes down must come back up, you’ll climb back up these crazy switchbacks at the end of the hike. Worth it? We think so. 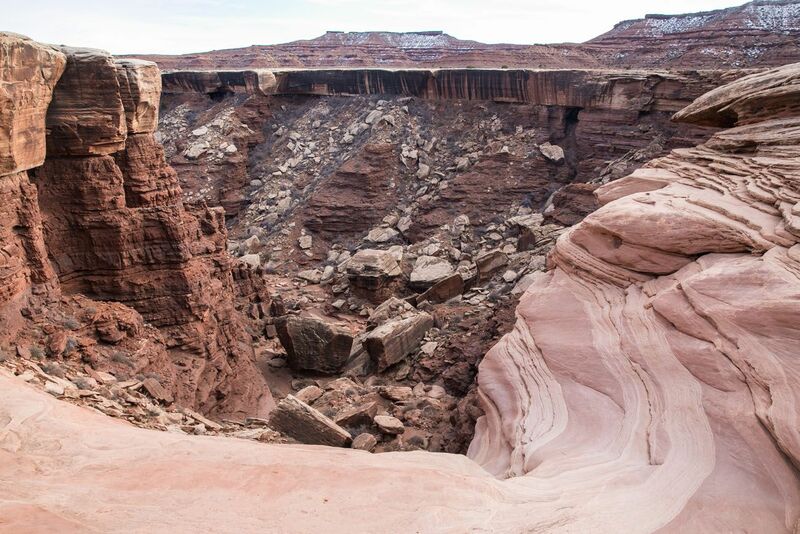 While hiking down the first, steep section, you are treated to spectacular views across the White Rim. 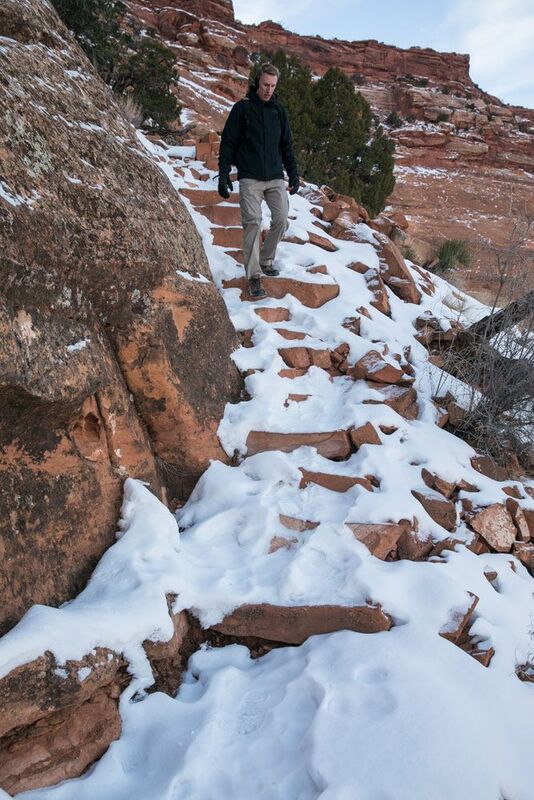 Plus, there is something very special about hiking below the level of the mesa and walking on the White Rim. 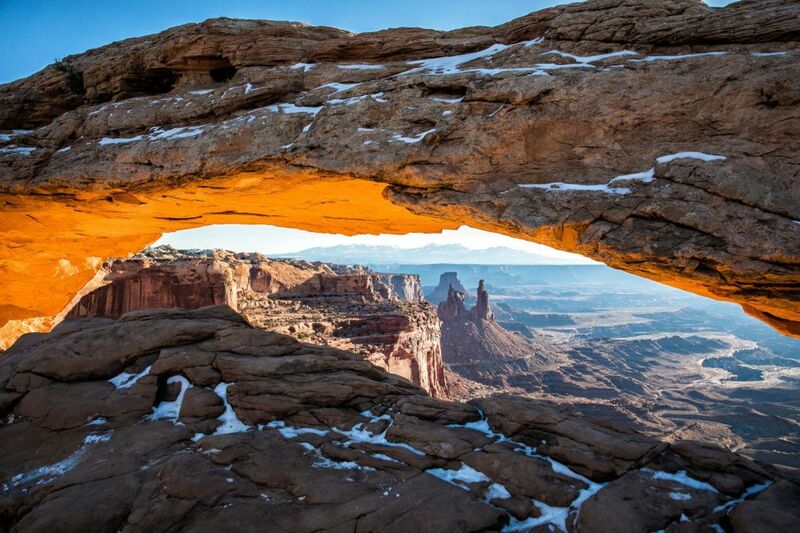 Most visitors simply see the Canyonlands from overlooks along the mesa. 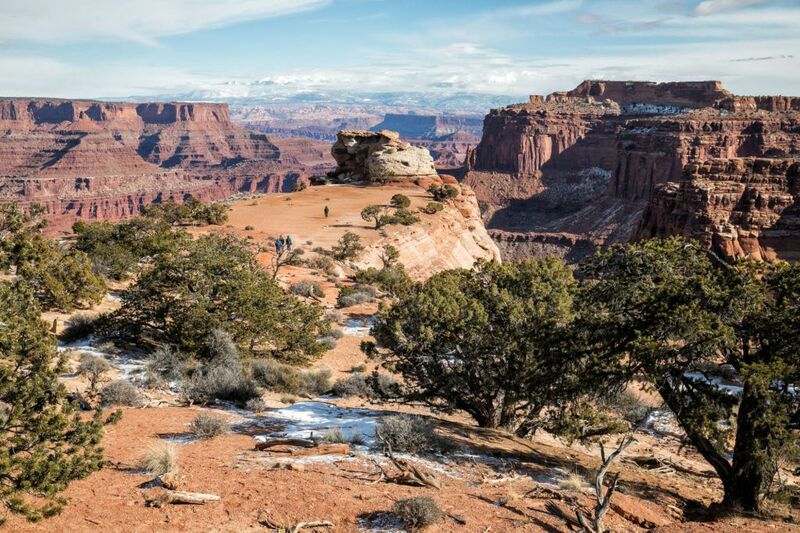 This hike gives you the chance to leave some of the crowds behind and add a little more adventure to your visit to Canyonlands. 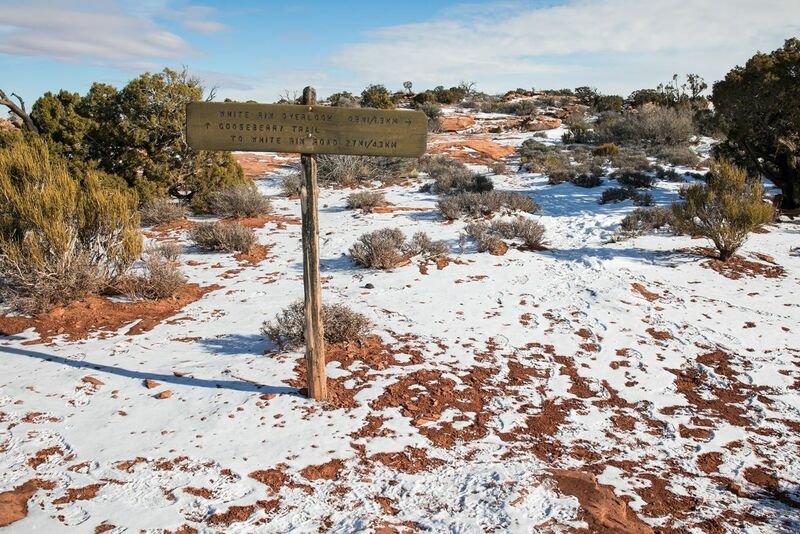 The Gooseberry Trail shares the same trailhead with White Rim Overlook. As you travel south on Grand View Point Road, there will be a left turn for a picnic area. Turn here and then park at a picnic area or at one of the limited parking spaces near the trailhead. This turn off is located 11 miles south of the Visitor Center. It is located 0.9 miles north of the Grand View Point parking lot. GPS Coordinates: 38.322752, -109.849584. 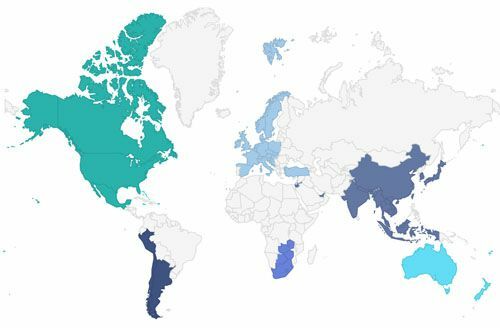 Click here to see a map of the hike on Google. In just a few hundred feet, the trail will split. 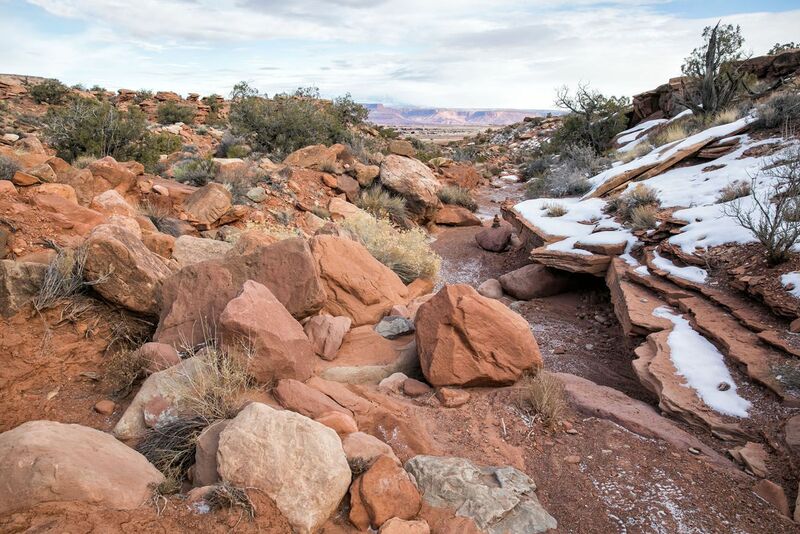 Continue straight to hike the Gooseberry Trail and go right to hike to White Rim Overlook. 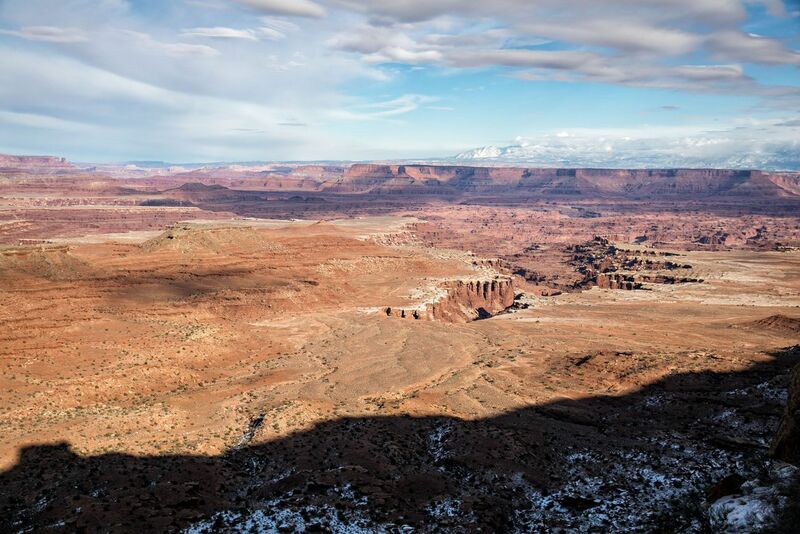 Pro Travel Tip: White Rim Overlook was one of our favorite viewpoints in the park. 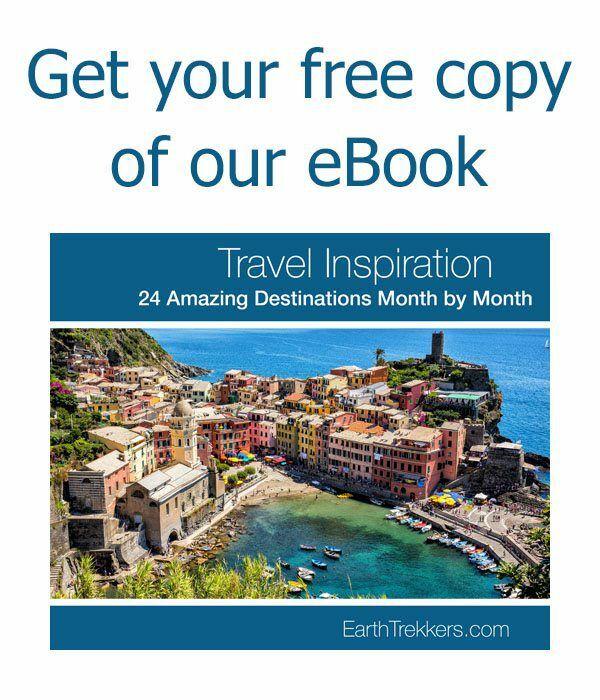 Consider adding this on, either before or after you hike the Gooseberry Trail. 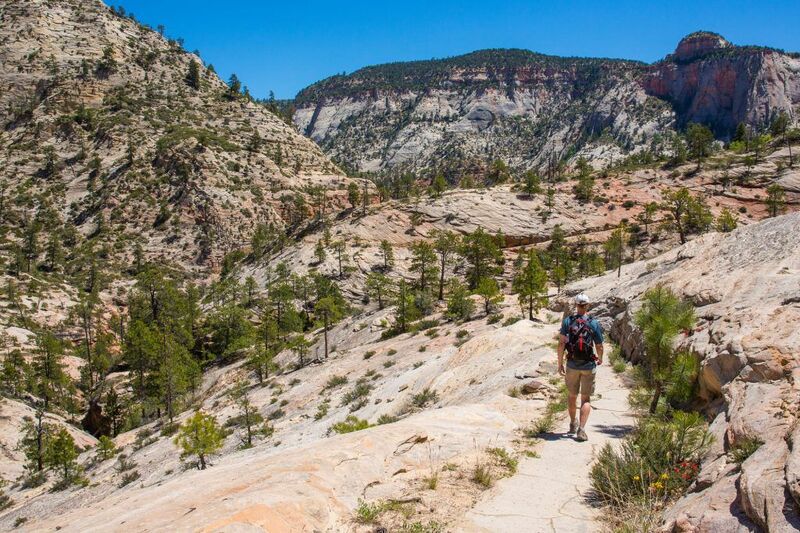 This short hike is 1.8 miles round trip and takes about one hour. We did this hike at the very end of December. 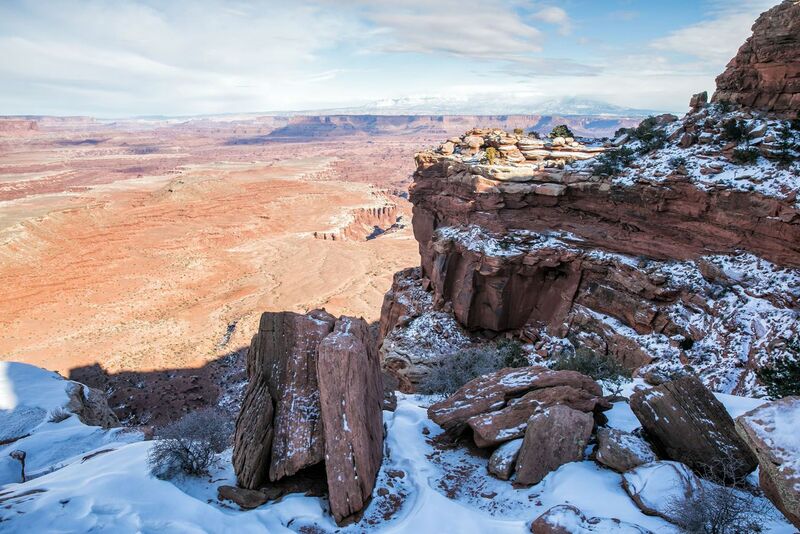 The day before our visit it snowed in Canyonlands National Park. The first part of the trail was completely snow covered and in some spots it was up to 6 inches deep. Tim and I questioned whether we should hike this trail in the snow, but the snow just added to the thrill. During the two hours it took us to hike this trail, we only saw two other people. 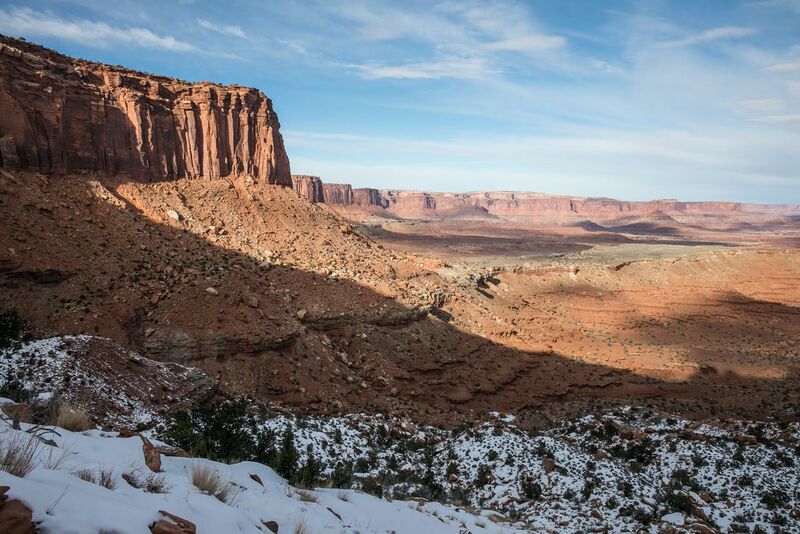 From the top of the trail, enjoy the view out over the White Rim. As you look down, you can see the trail as it cuts its way back and forth down the mesa wall. It looks impossibly steep from here. And these photos don’t portray it very well because of the snow and the shady conditions. But trust me, it’s steep! Looking down at the switchbacks on the trail (but it’s hard to see them because of the snow and just how steep it is). For the first section, you hike down between these canyon walls. This is the view out to the White Rim. For the first .75 miles of the hike, it is just a rapid descent. It is a little bit daunting to think that in a few hours you’ll have to hike back up this monster. But the views are amazing and for us, the snow made it even more fun. Once you get past the first section of steep switchbacks, the trail still descends but the grade is gentler now. 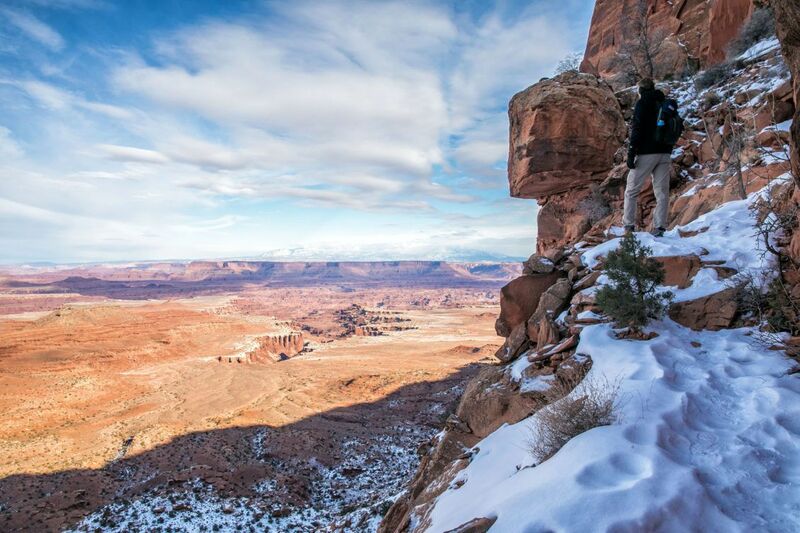 As you get lower, you lose the view of the White Rim. The canyon in the distance is Gooseberry Canyon. 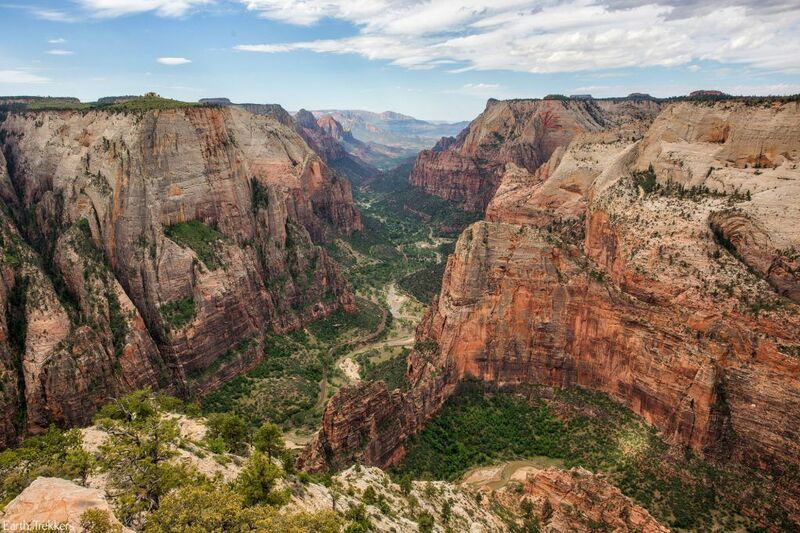 This hike takes you to the tip of the canyon. 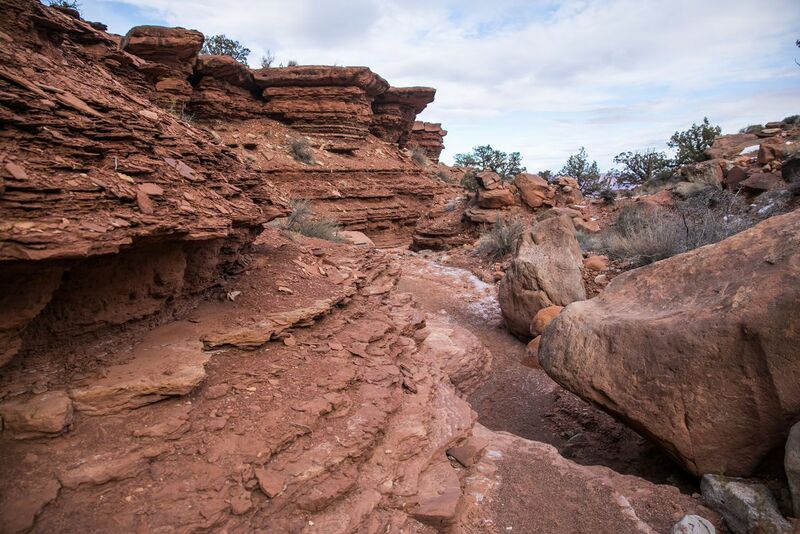 The trail eventually enters a wash, which is a dry riverbed. For the rest of the hike, you hike through this wash. It is an easy downhill walk and this is the fastest part of the hike. 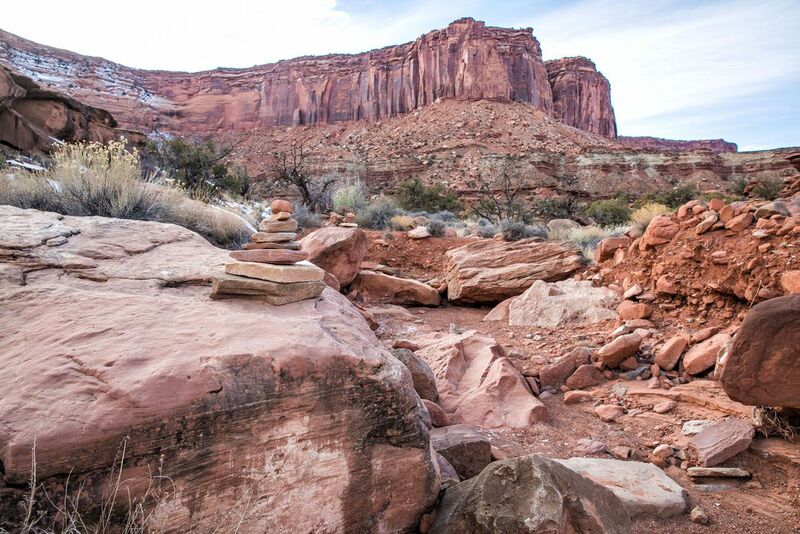 It’s easy to follow the wash but there are also cairns marking the trail. Looking back up at the canyon walls. 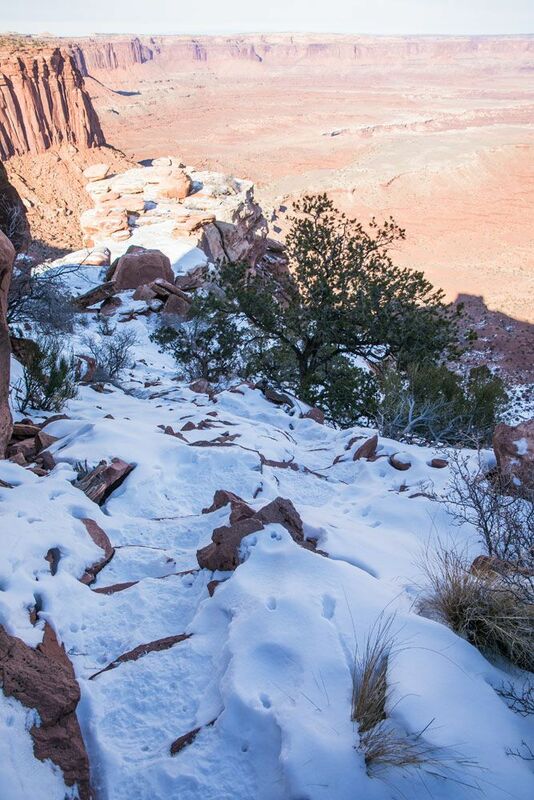 The trail ends on the White Rim. 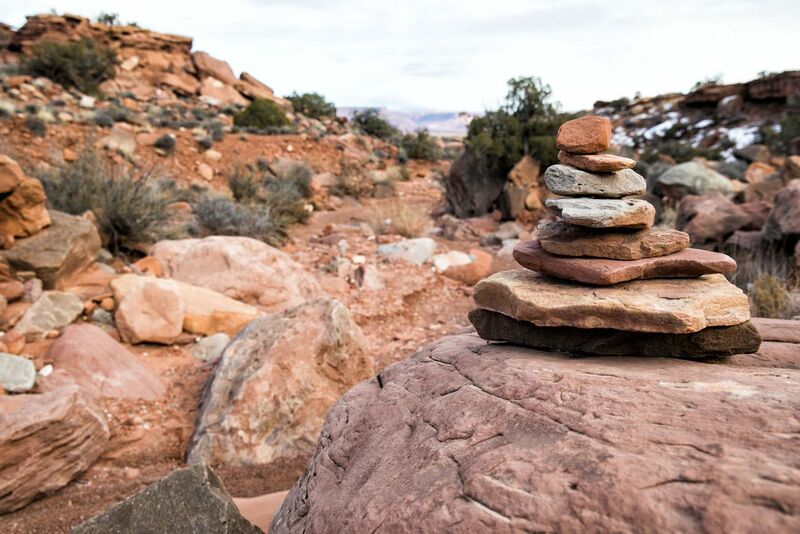 Cross over White Rim Road and enjoy the view into Gooseberry Canyon. 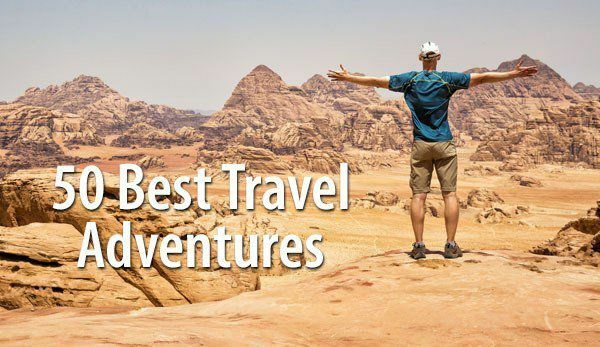 Don’t miss our article Best Things to do in Canyonlands: Island in the Sky District for more great ideas of what to do while you are in the park. Retrace your steps back to the trailhead. As you hike back up the final switchbacks, enjoy the view as you catch your breath. 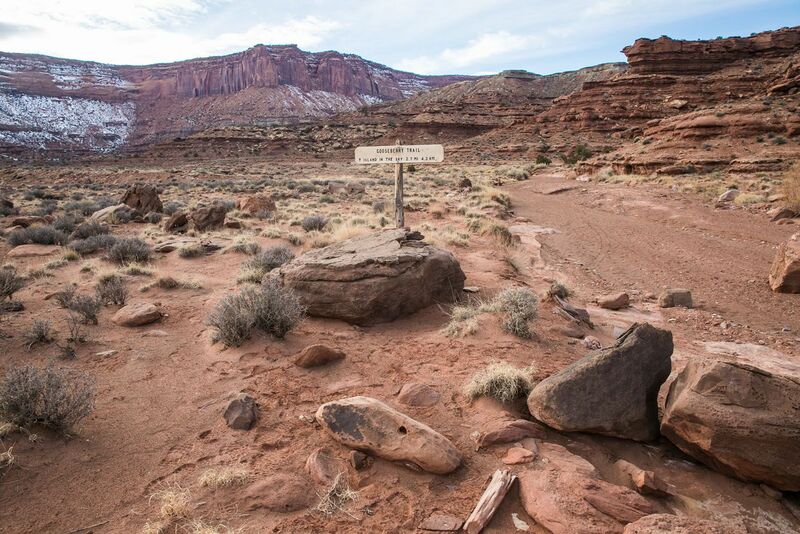 The trail marker near White Rim Road. Off in the distance are the mesa walls and the big climb back to the start of the hike. It took us almost the same amount of time to hike back up the trail as it did to hike down it. On the hike down, we were being very careful on the snow-covered trail and we stopped frequently for photos. It took us about one hour to reach Gooseberry Canyon. Then it took us an hour and fifteen minutes to hike back to the trailhead. I have heard that people will do this even faster (2 hours or less), but the average amount of time is around 3 hours for this hike. Water. Bring plenty of water, especially if you will be hiking during the summer months. Sunscreen. There is no shade on the trail. Hiking Poles. Hiking poles take about 30% of the weight off of your legs as you descend, easing knee pain and other symptoms. I use Black Diamond Distance Z poles and love them. 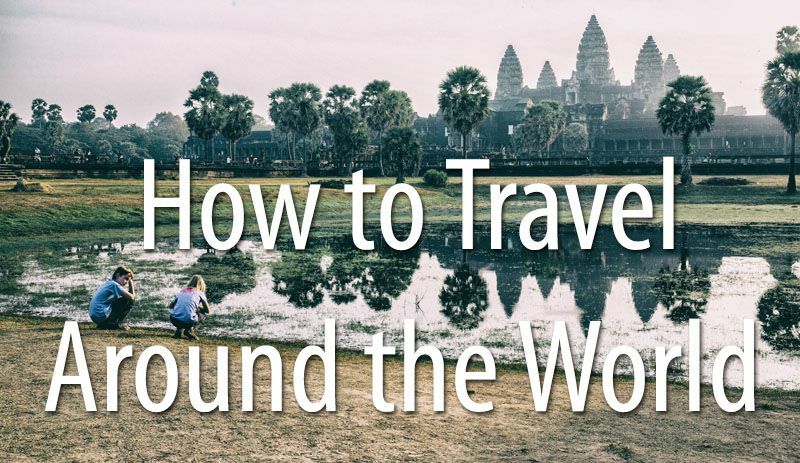 They easily collapse down to fit in your luggage and hiking backpack, plus they are extremely lightweight. The poles come in several sizes, so make sure you pick the right length based on your height. We hiked the Gooseberry Trail on December 28. 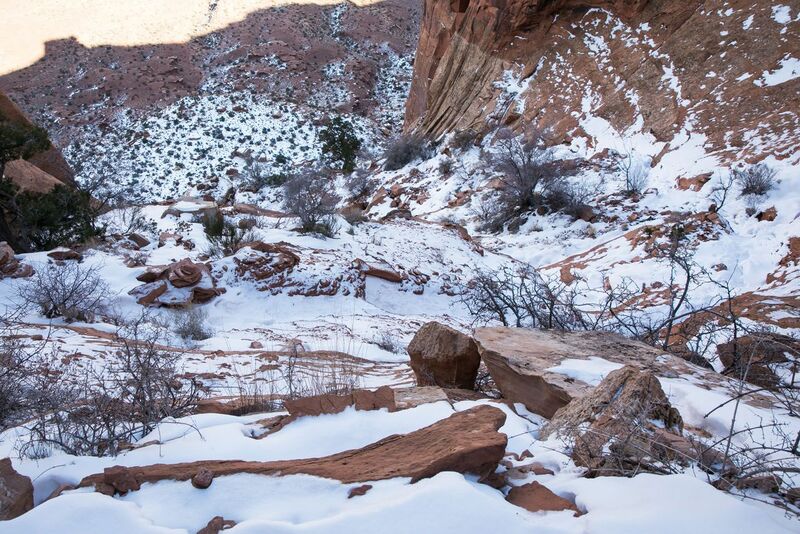 A recent snowfall covered the first mile of the trail which is the section with the very steep switchbacks. 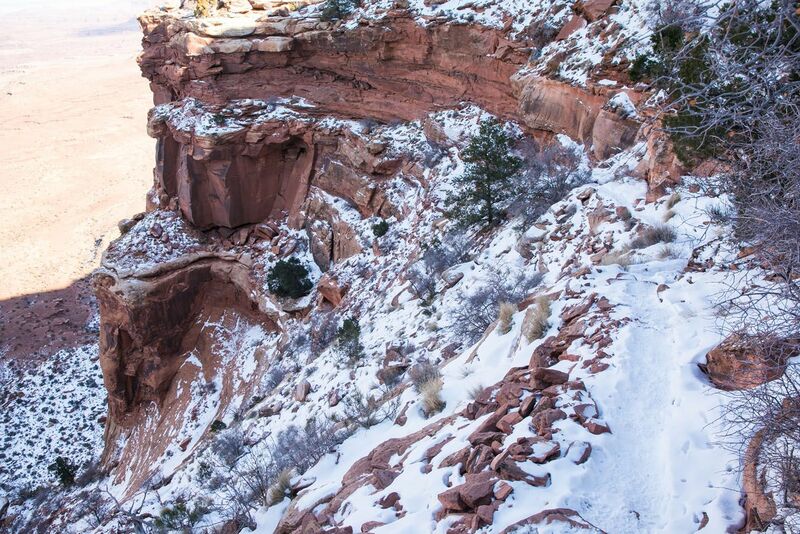 Hiking this trail in the snow can be dangerous, because the snow turns an already steep trail into something more treacherous. We considered skipping this hike once we saw the snow, but obviously, our sense of adventure prevailed. With our hiking experience we felt comfortable hiking under these conditions. We took our time on the snow-covered trails and had no issues. 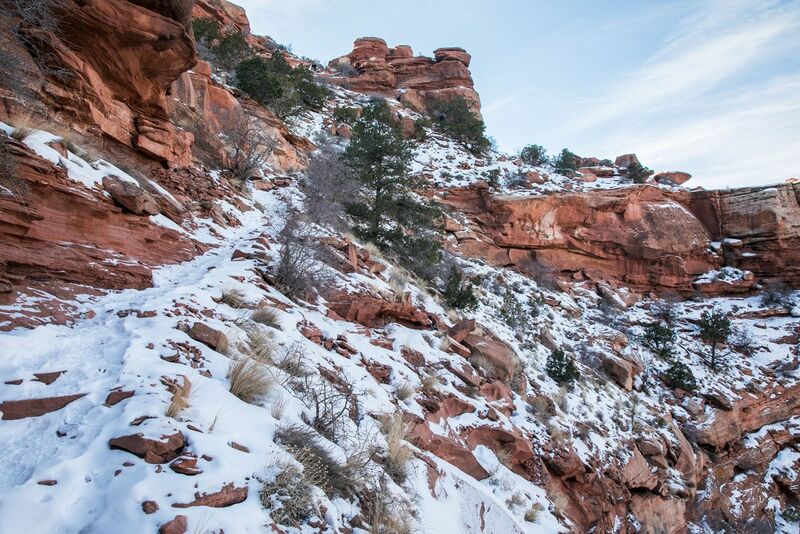 However, I would not recommend doing this hike in the snow unless you are a very experienced hiker and have hiked on other snow-covered trails. 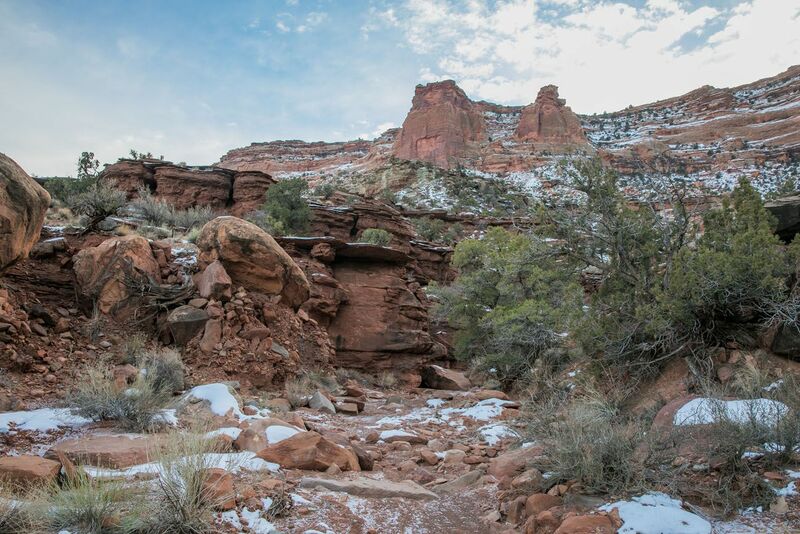 Consider bringing hiking poles and microspikes if you plan to do this hike during the winter. There is a very good chance that this trail is snow covered throughout the winter season. 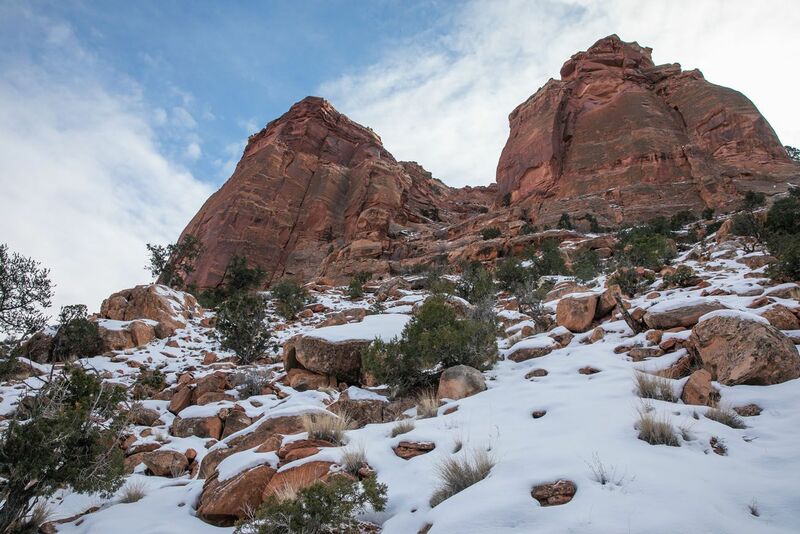 The trail sits on the north face of the mesa, so without any sun to melt the snow, I would imagine that snow sits on the trail all season. 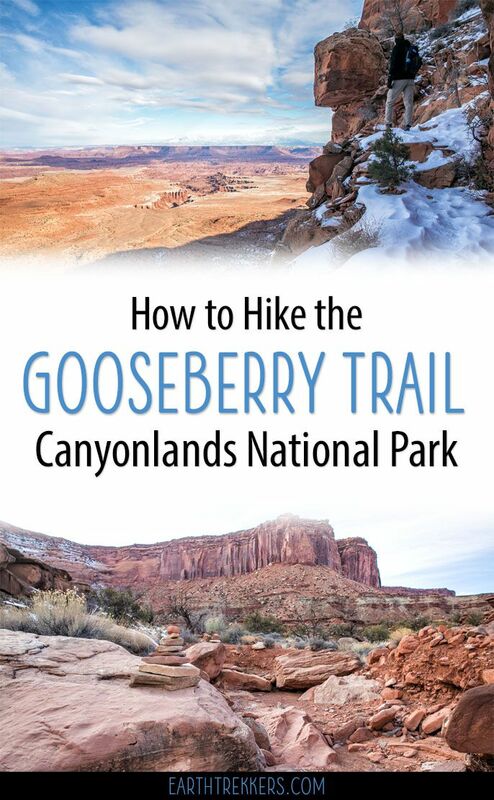 Do you have plans to visit Canyonlands National Park and hike the Gooseberry Trail? 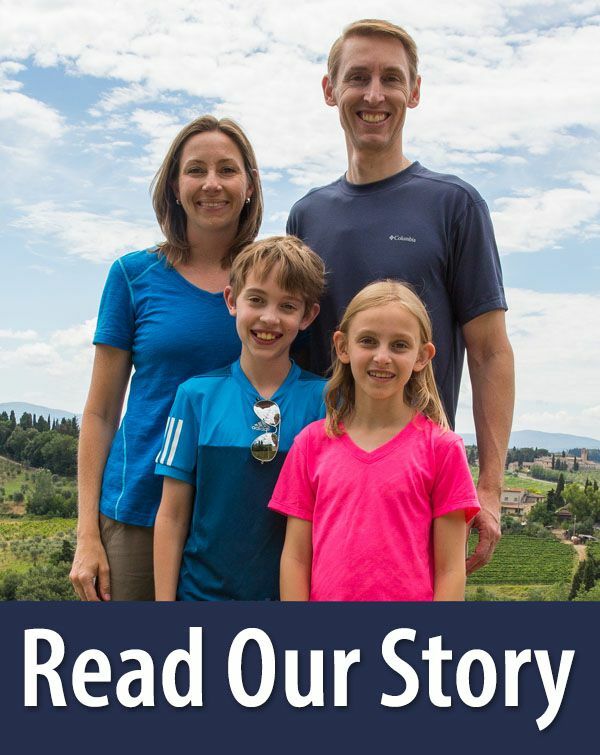 Comment below if you would like to share your experience or ask any questions. 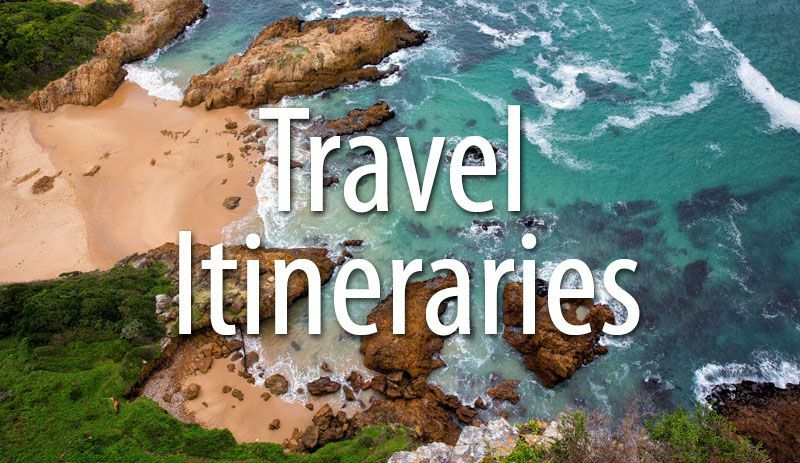 Planning a trip to Utah? 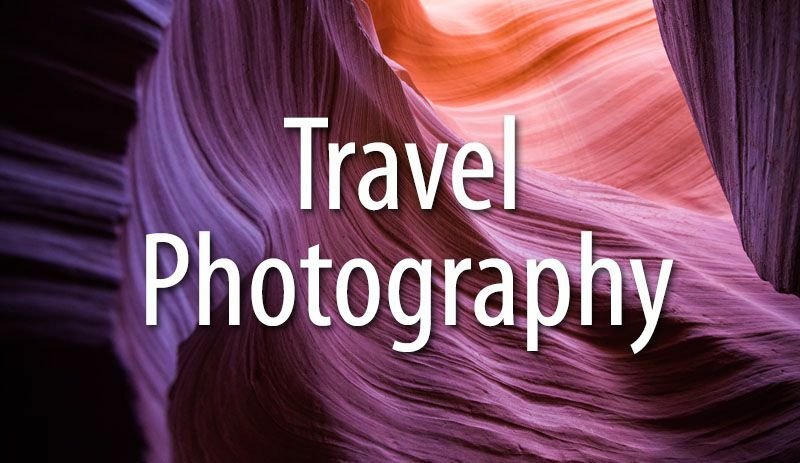 Read all of our articles in our Utah Destination Guide.